December Studio Classes: Set a Sketchbook Habit! 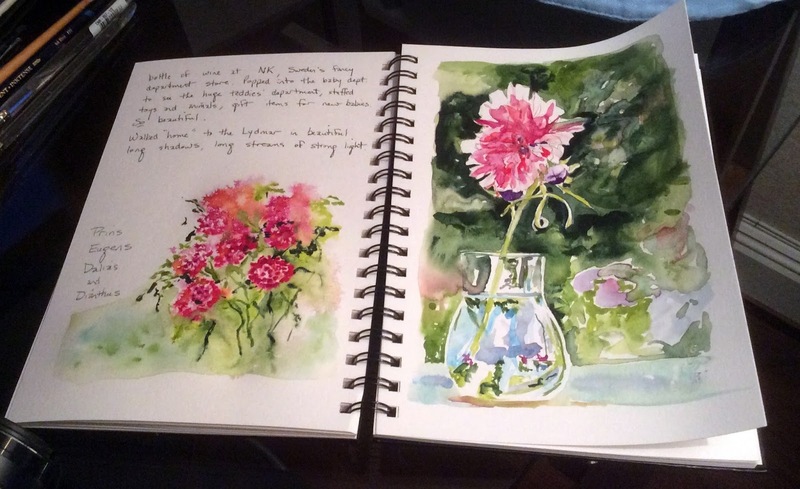 Why explore sketchbook methods and materials? If you want to be a committed artist, it is important to keep your hand busy in your craft! “Time in the saddle” is the only sure-fire way to improve your skills. Whether you are planning to take a trip, a museum jaunt or a week-long vacation, a sketchbook is a way to make a special connection with your experiences. Equally importantly, it becomes a treasured memory trove where your journeys’ special moments are captured. Truth is, on your day-to-day jaunts or even around your home and garden, a sketchbook “habit” is a simple way to make significant improvements in your drawing and sketching skills, a place to record artistic goals, to make thumbnails and painting plans, write notes from art lectures and demos. The list goes on! Join us Monday afternoons in December. See and try examples of papers and mediums (pens, pencils, paints, etc.) that work best for sketching. Look at some fascinating examples of how other artists have used sketchbooking to improve their artistic skills. Make new habits to create lasting memories. Bring your ideas to share! All levels.